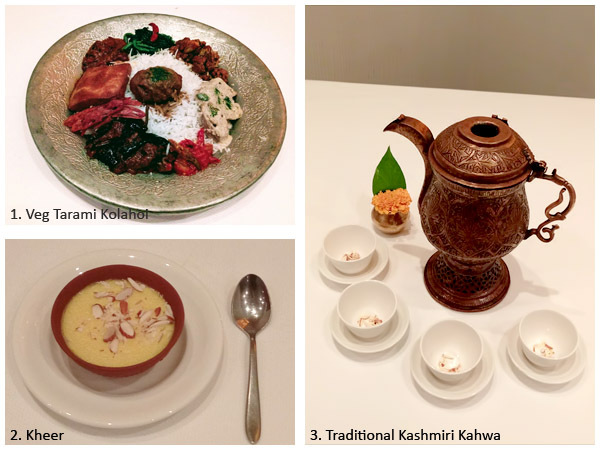 Read on to find out more about this authentic Kashmiri Cuisine restaurant. Kolahoi is a glacier in Kashmir. For all the grandeur the ice mountain stands for, the restaurant in the heart of Delhi by the same name, also offers nothing short of the grandness that traditional Kashmiri food comes with. Kolahoi Wazwan, located at Friends Colony, offers authentic traditional Kashmiri food for the connoisseurs as well as food lovers. Managed by the same group that once, managed Kolahoi at the famous Broadway Cinemas in Srinagar, Old World Hospitality, has successfully brought the same Kashmiri flavours to the capital. It’s not just the food, the ambience, the service and the location all take away the brownie points when it comes to spending a quiet evening over food, especially with all the overcrowded places one otherwise has to choose from in Delhi. So, along with my Kashmiri couple friends, we decided to try out KOLAHOI – Kashmiri Wazwan at The Manor, this time. The evening rolled out to be great with Chef Rajeev Malhotra guiding his team in creating authentic Kashmiri dishes that my Kashmiri friends couldn’t get enough of! 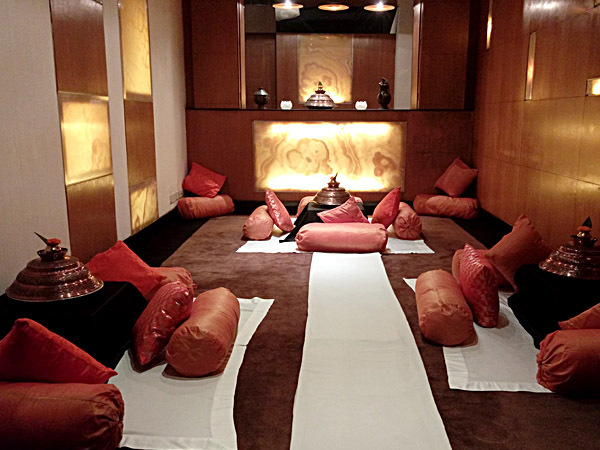 The restaurant also has traditional Kashmiri seating style for dining, in case guests want to have the real Kashmir feel. 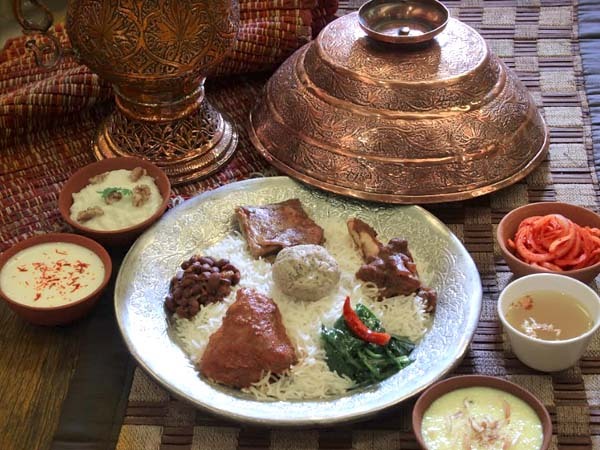 One can order a nine course Kashmiri tarami (individual Thalis) served on the table or savour a twelve course traditional Wazwan with ground seating where four people share the platter. A Tarami is the Kashmiri platter that engulfs the world of food in Kashmir! We started with Nader churn – the crispy Lotus stem chips served with radish, yoghurt and roasted walnuts (Doon in Kashmiri). 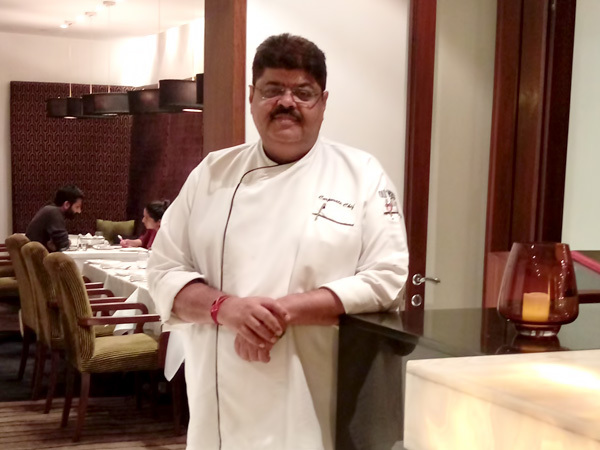 After which, Chef Rajeev rolled out some mouth- watering Delhi delights like, Dahi Batata Puri, Palak Patta Chaat, Gilouti Kebabs, Veg and Mutton Seekh Kebabs, and even a platter of amazing Tandoori Jheenga! The interplay of Kashmiri recipes with a dash of Punjabi platters was hard to resist. My friends were impressed at the fineness of Kashmiri dishes coming exact on their taste buds. 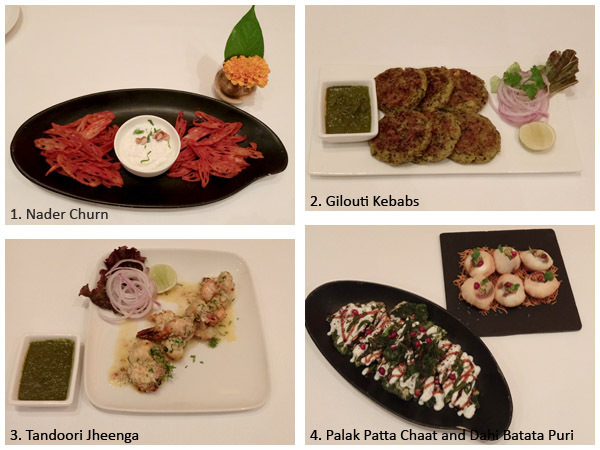 ​The sumptuous starters also included Kurkure Makai Malai, ​Gilouti Kababs, Tandoori – Fish Mahi Tikka and then the main course that started with Tabak Maaz – a very important dish that starts the cuisine. Interestingly, there’s no chicken in Kashmiri cuisine. It’s either goat meat or cottage cheese for vegetarians, but the way it’s cooked, is the secret! The meal left us wanting for more. The evening ended with Kesari Kheer followed by traditional Kashmiri Kahwa. And as they say, the proof of pudding is in its taste; Kolahoi Wazwan, indeed proved out to be the masters of their trade!